Sensible shoppers have finally met their match, thanks to the new Goldilocks Gtizen MyWallet Visa Card. The Goldilocks Gtizen Card has all the advantages of a debit card (lack of restrictive application procedures, interest rates, propensity to overspend, etc.) plus added features such as cash withdrawals, balance transfers, and bills payment. Being a Visa card likewise means that it can be used for cashless shopping anywhere in the world, and is especially useful for online transactions. 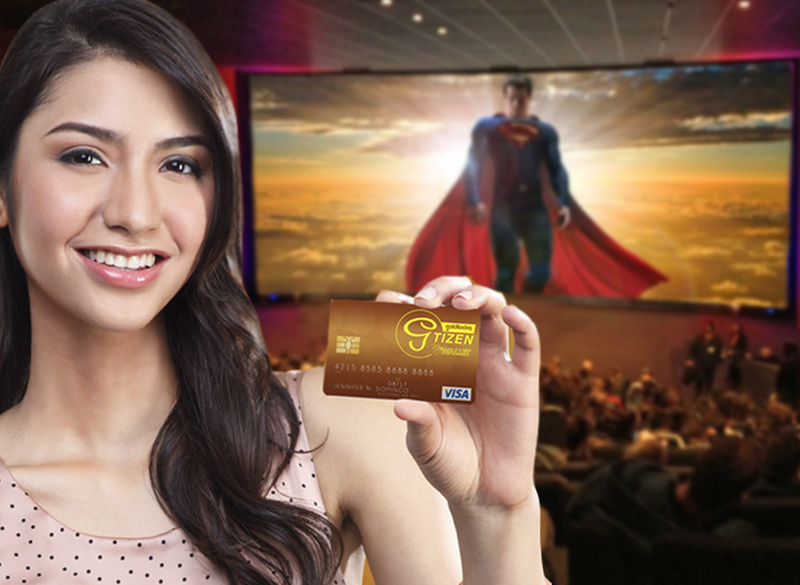 The power of this “super card” was unveiled before showcasing other superpowers, namely an exclusive Gtizen screening of the box-office hit “The Man of Steel”. Prior to witnessing the adventures of last son of Krypton, selected guests and members of the media learned more about the super advantages of the Gtizen card, such as exclusive invitations to Goldilocks promotions, events, and exciting activities. On top of these benefits, Gtizens earn 1 point (P1.00) for every P25 they spend using their Gtizen cards. These points can then be accumulated and used at any Goldilocks branch nationwide. For only P300, each Gtizen card also comes pre-loaded with P20. During the first year of membership, Gtizens also receive a P100 birthday treat (100 points) on their birthday month, as a special way of thanking them for their continued loyalty. To learn more about the Goldilocks Gtizen card, visit your nearest Goldilocks branch, log on to the Goldilocks website (www.goldilocks.com.ph), or like Goldilocks on Facebook.